Plickers is an assessment tool made by a teacher who was looking for a quick and simple way to check student understanding. This assessment tool allows teachers to collect on-the-spot formative assessment data without the need to have students use devices or paper and pencil. Teachers can use this tool with previous planning or on the go as needed. This tool provides teachers with the data needed to inform their instruction. 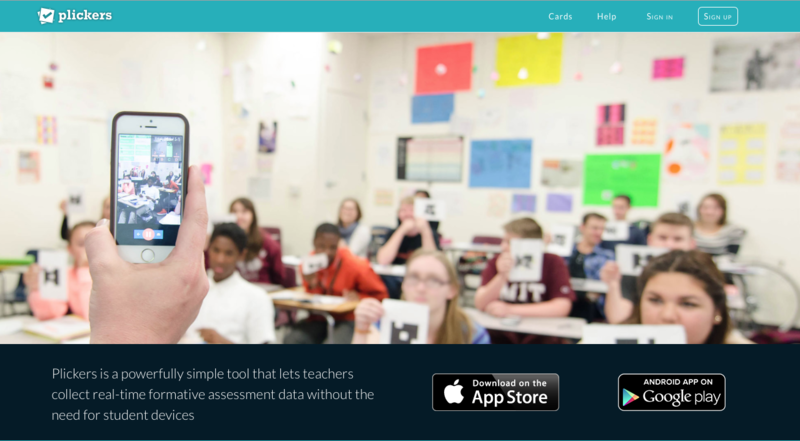 “It provides students with the opportunity to participate and engage in learning without feeling self-conscious.” (Plickers.com) It’s a data collection tool that’s helpful for teachers and fun for the students. Price ★★★★★ Plickers is free to use. The company is working on a Premium account to offer as well. Plickers cards can be printed free of charge. A more durable version costs $20 on Amazon.com. Type of learning Behaviorism Learning takes place through online games and lessons. Students stay engaged throughout the assessment because they find the Assessment activity to be fun. Ease of Use ★★★★★ Very simple to use for students. They just need to rotate a card to show their answer. Very simple for teachers to use the app, to scan, and to project answers. Questions can be loaded previously or as a “need to” basis. Plickers cards are easy to handle, and come in different sizes typical to larger auditoriums, and in larger size fonts for younger students to be able to read. Accessibility ★★★★✩ Students of all ages can use this tool. Students with learning and physical disabilities can also use this tool. Modifications would have to be made for the visually impaired. 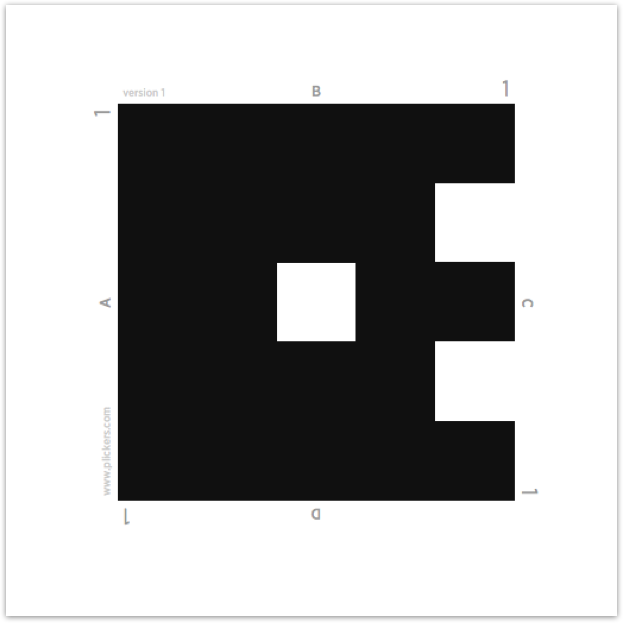 Plickers cards come with larger fonts for younger students and in larger sizes for large classrooms or auditoriums. Access ★★★★✩ Plickers accounts can be managed from the web but teachers need the Plickers mobile app in order to scan students’ cards and see their responses. The Plickers app is free for both iOS and Android. The app can be used on phones and tablets. Class Size Up to 63 students per class. Up to 63 students can be assigned per class. Modifications can be made for larger size classes. ISTE Standards for Students Empowered Learner Students use Plickers as a way to answer teacher generated questions about a certain topic. Teachers provide feedback to students about their learning. Power and Bias ★★★★✩ Tool marginalises educators who do not have access to smart devices or the Internet in their classrooms. Students do not need access to technology to use this tool. Numbers/Symbols are used instead of written languages. Website is for English language speakers. Power and bias would be present mostly for the account holder. Impact on Student Learning or Assessment ★★★★★ Tool helps students stay engaged during formative assessments. Worry-free way for all students to participate in answering questions with anonymity. Teachers can get immediate feedback to inform their instruction. Plickers is not just a fun online assessment tool for students but it’s also fun and simple to use for teachers. Plickers allows you to check in on student understanding. With the data collected you can inform your instruction for a follow up class or in real time. Students stay engaged as they watch to see if their card was scanned, and their answer displayed. The cards can either be bought online or downloaded and printed. 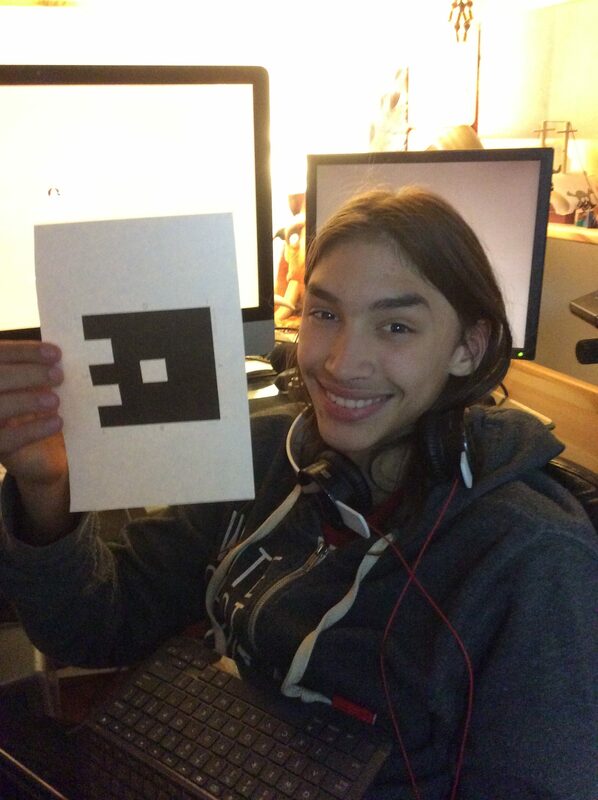 Students of all ages find Plickers fun and easy to use. There are two views to see the data collected, Students mode and graph mode. Students mode, shows all the students cards and names, and whether they have answered or not. the graph view shows the way students answered. On both views you have the option to show the correct answer. One of my favorite features is that you can sign in to your account when planning your lesson or if at some point during instruction you need immediate feedback, opening the app and adding a question is hassle free! Substitution: Students use Plickers as a formative assessment instead of a paper and pencil formative assessment. Teachers also use Plickers as a formative assessment tool instead of asking students to raise their hands to answer a question. Augmentation: Teacher can be made aware of instantly if a student hasn’t answered a question. Modification: Teacher can instantly see who has the correct answer and have the student revise their answer. Teachers can share how other students have answered without giving away the correct answer so that students can re-think their answer and change it instantly. Redefinition: Students can all be part of a formative assessment versus calling on different students at a time or not having some students participate at all. Teachers can ask a question mid-way through a lesson to check for student understanding in real time, in order to inform instruction instantly. Math: Students solve equations or word problems. Teacher provides answers to choose from. Math problems can vary in difficulty. Here’s an example of an upper elementary classroom solving a division equation using dry erase boards, and then sharing their answers with the Plickers card. English Language Arts: Teachers can assess reading comprehension. Story plot questions can be posted with 4 possible answers to chose from. Screenshot Plickers teacher generated question. Science– Teachers can use Plicker as a Pre-Assessment before the start of a unit. Students can answer questions related to a new science unit about Sustainable Development, such as “What is Sustainable Development?”. Teachers can inform their planning after analyzing student data from the pre-assessment. Social Studies- Teachers can check on students’ “Recent Events” knowledge by asking questions about real time recent events. Fun Voting Activities– First graders are always wanting to vote on possible reward choices. Use Plickers to vote on which movie your class will get to watch as a reward. Green indicates correct answers, Red indicates incorrect answers, Dark Grey indicates invalid answers and Light Grey indicates students have not been scanned. Click on the button to create a new account. You will be asked for your First name, Last name, email, and to create a password. 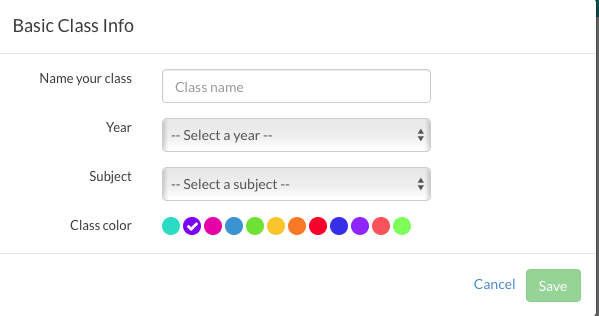 After completing the form, press Sign Up at the bottom of the form. You will then shortly get an email from Plickers asking you to validate your email. Go to your email account, look in your inbox for the Plickers email, and follow directions to validate your email. Once this step is completed you can log back to Plickers.com and click on the Sign In icon. Sign in using your email and password. Press Sign In. You will be taken to your Library. From here you can Create New Folders for your classes, add new questions, or review your history. You may also go to: Reports, Classes, Live View, Cards, Help or your account settings. In order to scan your students’ answers you need the Plickers mobile app. Go to and search for the Plickers app that’s compatible with your phone. Once you find the plickers app, press the download icon. After download is complete, press the OPEN button. Type your email and password, and press sign in.